Marc Software is an ISO certified, IT Consulting Company providing IT Staffing Services and Enterprise Business Solutions head quartered in Singapore. With an objective to serve our clients with the emerging technologies. We have a team of highly qualified and experienced software professionals with work experience in India, U.S., Singapore, Malaysia, Philippines, Indonesia and several other countries. 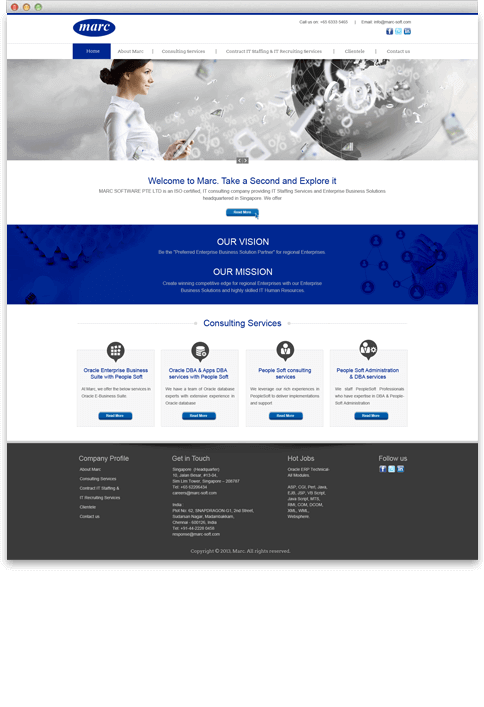 Poogle Media created a clean and corporate style website design and developed with rich features.